The Challenge Liturgy is celebrated on the third Saturday of every month. Individuals of all ages with special needs from the surrounding communities, and their families, are welcome to participate in this beautiful liturgy. The families also enjoy social gatherings, fellowship, and community outreach. 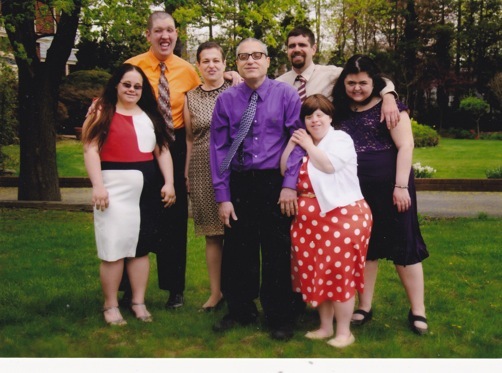 The Archangel Michael Greek Orthodox Church conducts a unique ministry, known as The Challenge Liturgy Program, which reaches out to Orthodox Christians with intellectual and developmental disabilities, welcoming them into the full life of the parish. All metro-area New York challenged Orthodox Christians are welcome regardless of parish or jurisdictional affiliation. Founded in April 1990, the program has grown from a local parish program into a regional multi-parish one, serving over fifty families from nine neighboring Queens/Long Island parishes. Complimentary transportation is provided for those with no means of getting to the Archangel Michael Church. The primary objective of the program is to encourage attendance and participation in the Divine Liturgy. 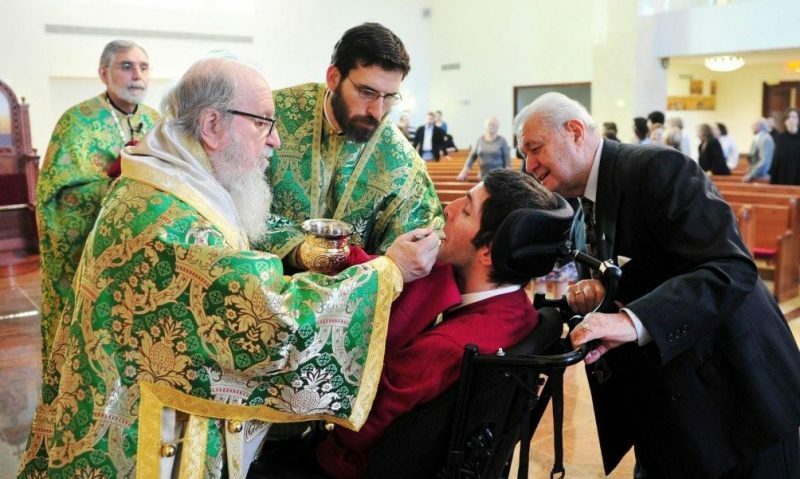 The cornerstone of the program is a special monthly liturgy that is celebrated on the third Saturday of each month, in an environment appropriate to the special needs of the participants…hence its title, The Challenge Liturgy. Beyond the spiritual fulfillment offered, the program seeks to integrate challenged individuals into the fabric of parish life. The Group points with pride to a few members who attend Sunday School, serve in the altar or sing in the Byzantine Youth Choir. The program also promotes acceptance through socialization. A fellowship hour following the Liturgy provides opportunities to develop friendships, meet parishioners or simply exchange information of mutual interest. Monthly birthday and Nameday celebrations and seasonal events, such as Christmas and Easter parties, as well as a Spring picnic round out the social calendar. Member families are not the only beneficiaries of this program. The parish enjoys a dimension of parish life not experienced by other parishes as the program engages the entire AMC Community…clergy, parishioners, organizations and youth groups, in its various activities throughout the year. Volunteer social workers, lawyers, and other professionals, Archangel Michael parishioners all, offer guidance and expertise to member families. 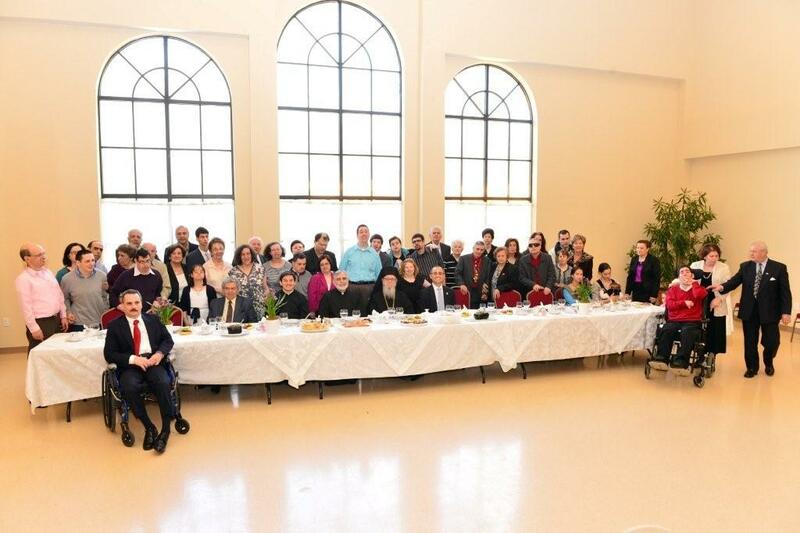 The program has evolved to include, Hellenos House, a group residence for Orthodox Christians with developmental disabilities, and an outreach program that reaches out to Orthodox Christians in the 750+ Group Residences on Long Island who cannot participate in the Saturday Liturgy. The Challenge Liturgy Program is a unique parish ministry. It is a ministry that has become an important part of the Archangel Michael parish…a ministry that addresses important needs yielding meaningful benefits to all involved, member families and parishioners alike. The idea of Hellenos House evolved from the Archangel Michael Church Challenge Liturgy Program, a unique parish program, started in 1990, that reaches out to special needs individuals and their families, and welcomes them into the full life of the Parish. At every monthly Challenge Liturgy, parents expressed concerns about the uncertain future their children would face, upon their eventual illness or demise. 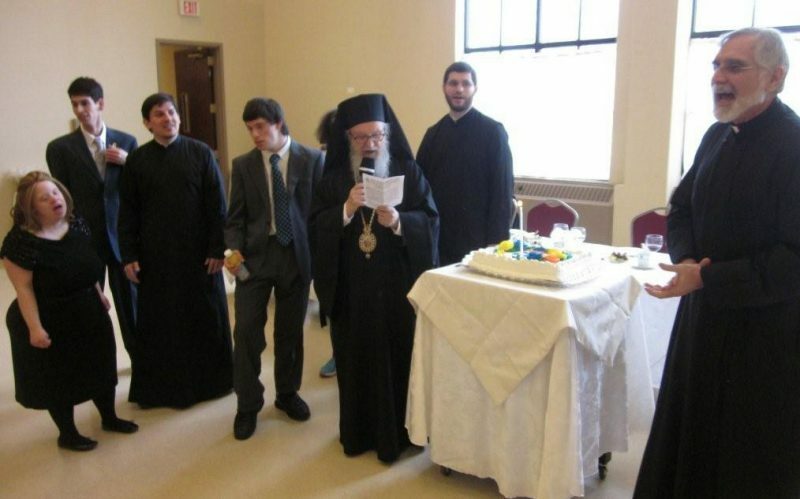 They wished for the establishment of a group residence that would permit their children to remain the “family” they had become–close to the church and an integral part of the Greek-American Orthodox community. It seemed an impossible dream as the group had neither the funds nor the expertise that could make it happen. Several options were considered and the one deemed to have the best chance for success required partnering with an agency, already managing group residences, that would be willing to help petition New York State for funds to establish a group residence that they, then, would manage. Such an agency was found, namely, ACDS of Plainview, NY, one of Long Island’s leading accredited social service providers for children and adults with developmental disabilities. Thus began a joint four year process that came to a successful conclusion in September 2008 with the opening of Hellenos House, a residence for seven adult members of the Challenge Liturgy Group. 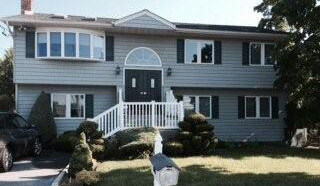 Hellenos House is located in the Long Island village of Wantagh, NY. It is a 3500 square foot contemporary split-level structure with seven bedrooms, spacious living/dining rooms, a den and an exercise/recreation room. Each weekday, residents are transported to their day programs. Upon their return in the late afternoon, they enjoy some personal time before carrying out their assigned tasks in preparation for dinner. Residents enjoy an active and productive life with all health and medical needs attended to by a dedicated staff of social service and healthcare professionals. The residents are encouraged to lead independent lifestyles and to participate in social, educational, arts & crafts, sports and community events of their choice. The Challenge Liturgy Program covers their tuition for these activities and thanks to the Philoptochos Chapters of the Archdiocesan District the residents attend a one-week summer camp at St. Basil Academy. The one event that is on each resident’s calendar is the Challenge Liturgy which they attend every third Saturday of the month at the Archangel Michael Church. 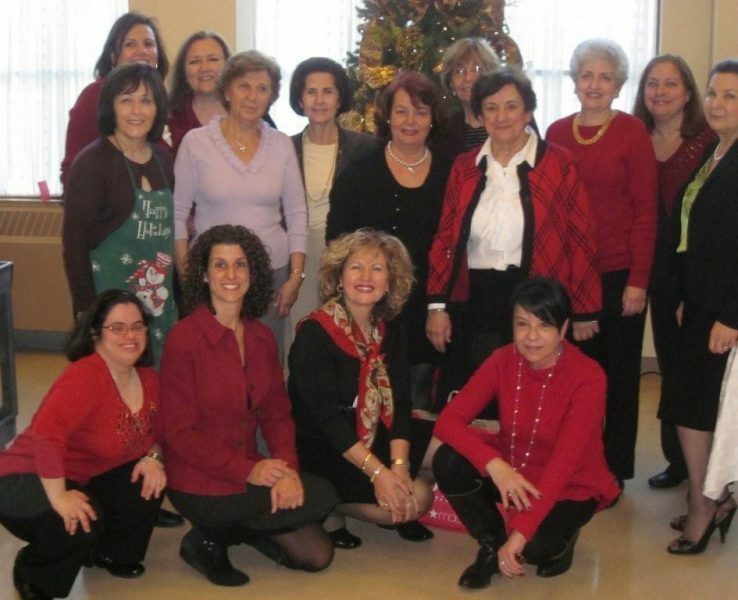 Participation in parish activities is also encouraged and in keeping with the original desire that envisions an enduring connection with the Greek-American community. This involvement not only helps preserve the religious, ethnic and cultural values, that enrich the residents’ quality-of-life, it also validates the promise made to New York State that the Greek-American community will be a worthy partner that could be counted on to do its share in caring for the less fortunate. The support from the Archangel Michael Church community and the Greek-American community, at large, has been exemplary. We look forward to the establishment of more, very much needed, group homes. Services are held on the third Saturday of each month at 10:30 am. Please join us! And be sure to check back here soon to learn about upcoming events!